After reading Mick Clout’s post on New Zealand’s potential as an Ark for non-native species; a source of genetically diverse species, that could be used to repopulate the historically native ranges from whence they came, I got a-thinking… Is New Zealand a source of invasive species? In my day job I work on ways to prevent adventive species establishment in New Zealand. I was heartened to discover that Aotearoa has been exporting more than vibrant young kiwis on overseas working holidays. As a kid I dreamed of a never ending Christmas. 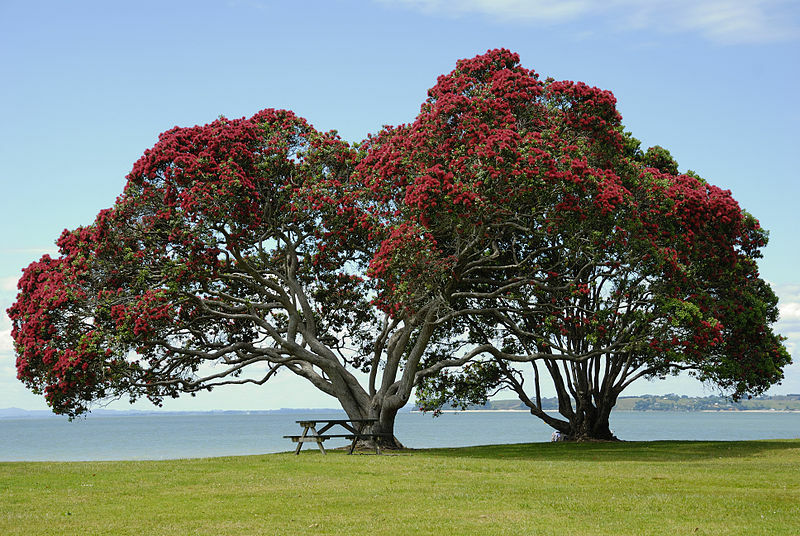 That has potential to come into fruition with the spread of New Zealand’s Christmas tree, the pohutukawa, Metrosideros excelsa into European countries. Meanwhile, in South Africa, pohutukawa threaten the ecologically unique Fynbos, already under threat from other invasive species, via prolific seed production leading to dense seedling stands. A Pohutukawa in full bloom. This species typically flowers from Dec-Jan. Credit: by Ed323 at en.wikipedia (Transferred from en.wikipedia) [Public domain], from Wikimedia Common. Another successful export has been the Karaka, Corynocarpus laevigatus. This New Zealand treasure provides a risky food requiring days of preparation to detoxify the seeds prior to eating. Karaka were used in reforestation efforts in Hawaii early in 20th century where it now forms dense stands potentially shading out local, rare endemic plant species. Possibly some of the less iconic New Zealand species making their way around the globe are the mudsnail Potamopyrgus antipodarum and flatworm Arthurdendyus triangulatus. New Zealand’s mudsnail can reach densities of up to 300,000 individuals per square metre in some rivers, modifying ecosystem processes. Whereas on land, the flatworm, predates on earthworms which could lead to secondary effects such as a reduction in soil quality and a reduction of a food source for native birds. Perhaps what we are seeing are the New Zealand-sourced winners that could have a chance at surviving in a possible future world that is less species–rich, instead dominated by a few widespread species. 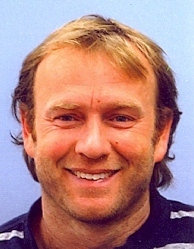 Lloyd Stringer is an invasive species entomologist at Plant & Food Research and doctoral student in the School of Biological Sciences, University of Auckland, investigating the interactions between eradication tools and Allee thresholds. He is supervised by Max Suckling, Jacqueline Beggs and John Kean. 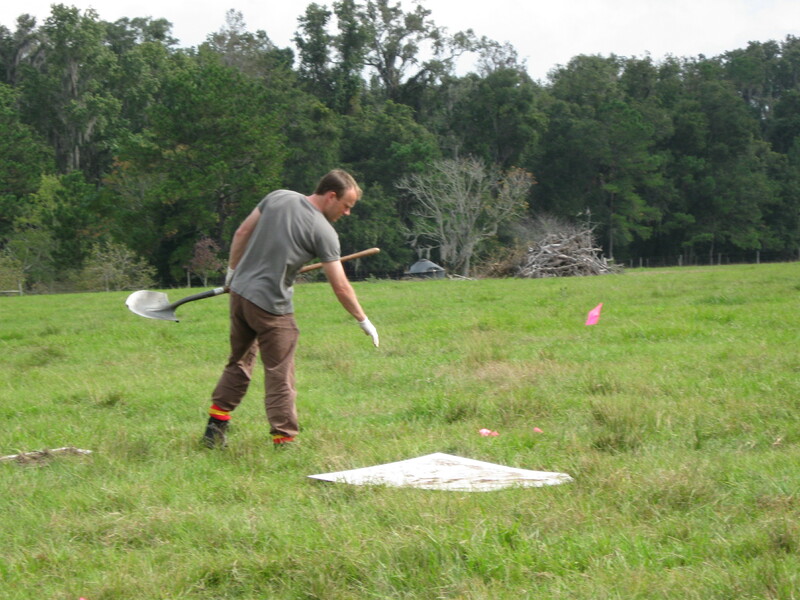 Here Lloyd is planning a red imported fire ant field experiment.